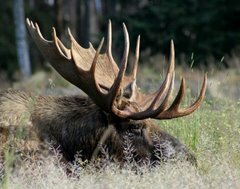 Moose Tracks: Trump To Drain Government Worker Swamp? To translate -- "Of course we want to avoid any and all kinds of accountability for anyone in good standing with TP, especially our loyal TP workers and campaign contributors in the Federal and State bureaucracies! It would be a tragedy of immense proportion if Republicans were allowed to take government jobs reserved for loyal dues paying members of TP!" Golly, it has been well over a decade since IBM dropped the defined benefit plan and pushed everyone to 401K -- welcome to the new millenium government workers! I think everyone understands the truth about government -- it is just that half the country or better is sucking on the government teat to some extent or another, and the fatted calves of unionized government employees have just been assumed to be part of the ride on the gravy train.